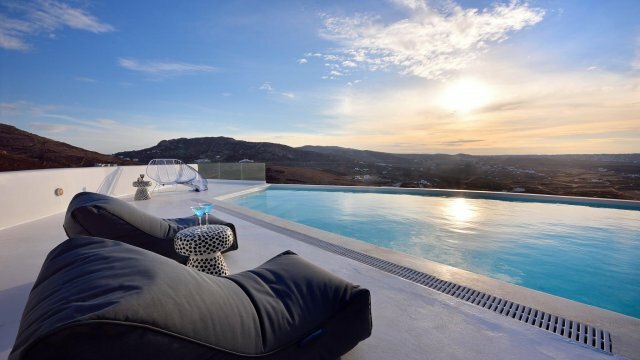 A luxury boutique hotel that offers unique moments in luxurious rooms and the absolute feeling of being on vacation. 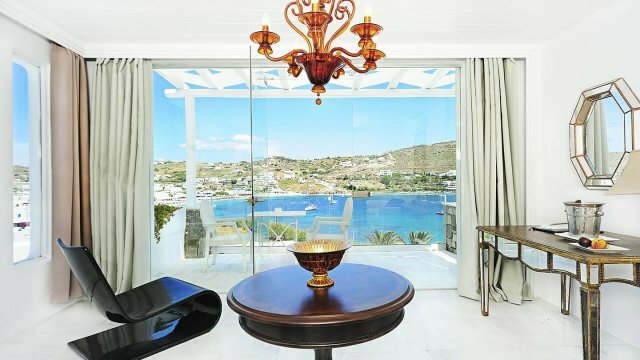 With its minimal decor to all of the rooms and common spaces gives a sophisticated tone and ethereal aesthetics that is spread everywhere around. 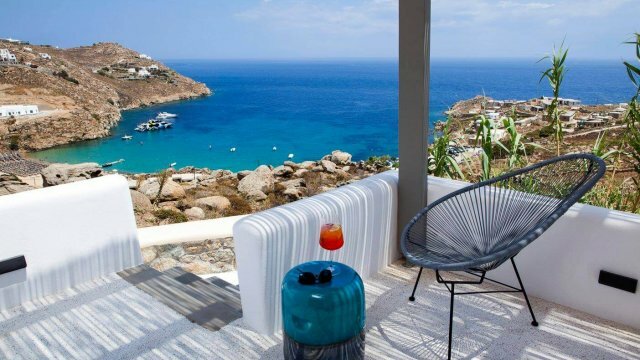 Great service and highly trained staff will help you to find out what are the best choices for you and how to spend your precious holiday time in the hippest and famous for its various options island of Mykonos. 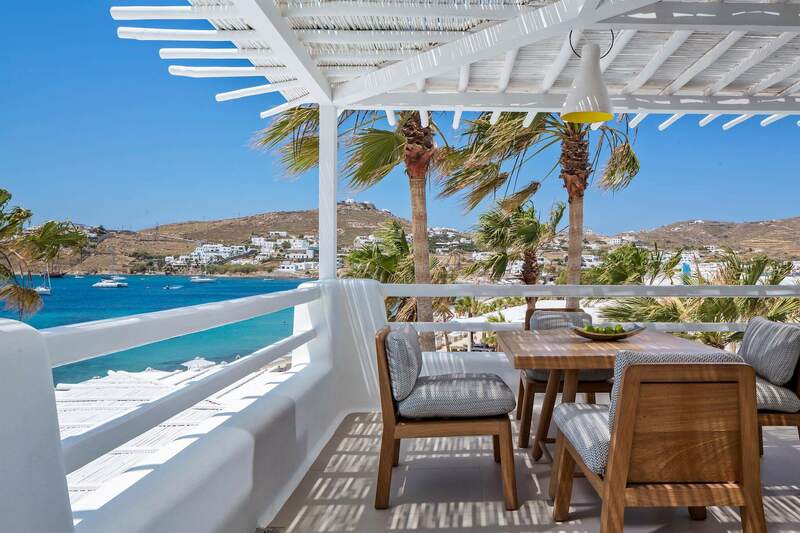 Mykonos Blanc Hotel features three well-known restaurants and extremely beloved to their guests under enormous brand names with a long history in food and entertainment. 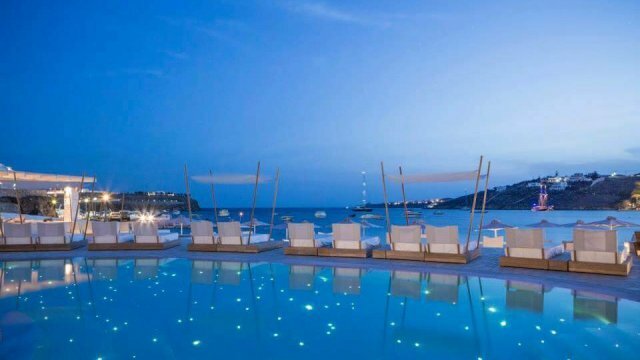 Fusion, Mediterranean cuisine, and signature cocktails in a modern, relaxing atmosphere on the beach and on beautifully shaped terraces. 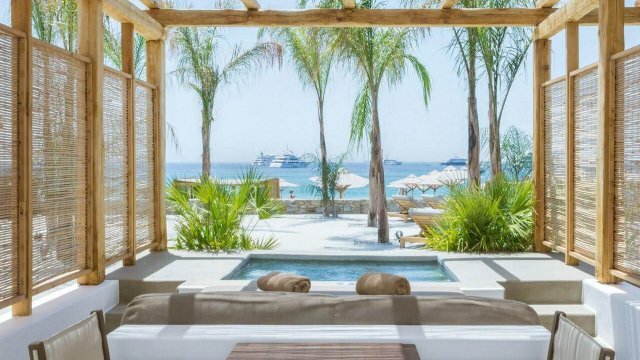 For your relaxation and alleviation, there is the Luxury Spa Center where you can have some private moments of serenity and peace trying to leave all the worries behind, preparing your body to chill out and feel stronger. 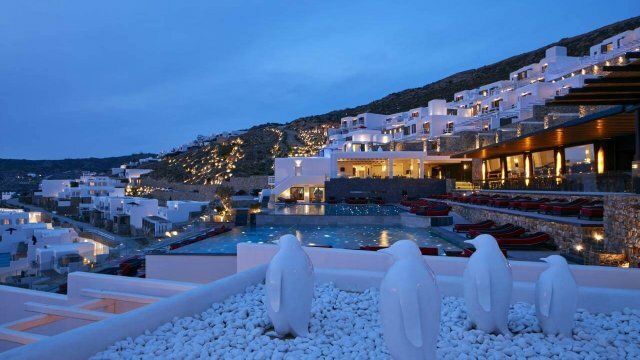 Modern facilities and spaces fully equipped for relaxation, Mykonos Blanc Hotel continues to provide its guests the best possible services that combine comfort and style, peaceful mornings and afternoons in a traditional Cycladic architecture and in the same time a minimalistic luxury environment.